The 1981 college football season was one of the craziest and most unpredictable in the history of the sport. It seemed nobody wanted to win the national championship. At several points in the season, six different teams were ranked #1 by the Associated Press. Most of them were beaten just as quickly as they earned the top spot. But when the season was over and the bowl games were finished, the Clemson Tigers stood alone undefeated following a 22-15 victory over Nebraska in the 1982 Orange Bowl and were crowned national champions. 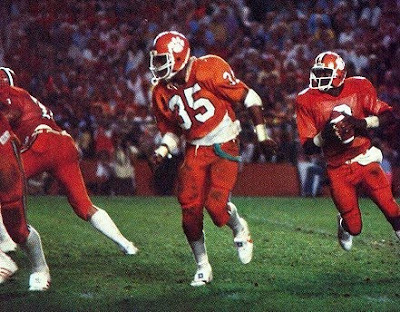 When the 1981 season began, Clemson was nowhere on the national championship radar screen. The Tigers were coming off a mediocre 6-5 season in 1980 and were, at best, considered a contender for the Atlantic Coast Conference championship. Meanwhile, Michigan began the year as the nation's top ranked team. But the Woverines were quickly upset in week one by Wisconsin. Notre Dame was elevated to #1 and were then beaten by Michigan. Then USC lasted two weeks as #1 until falling to Arizona. Texas then became #1 and was swiflty thrashed by Arkansas. Then Penn State took over and was quickly upset by Miami in the Orange Bowl. Dan Marino and Pittsburgh were then elevated to the top spot and were beaten the next week by Penn State. But while one undefeated team after another kept losing every week, Clemson just kept winning. The Tigers slow rise to #1 quickly gained momentum with an early season 13-3 upset victory over defending national champion Georgia. The Clemson defense contained Georgia's great tailback Herschel Walker and kept him out of the end zone. Week after week, Clemson was getting better. Offensively the team was led by junior quarterback Homer Jordan, who was a duel threat as a runner and passer. It was a run-oriented offense featuring a fine tandem of tailbacks in Cliff Austin and Chuck McSwain. When they needed a big play, Jordan often threw deep to receiver Perry Tuttle, who later became a first round draft choice of the Buffalo Bills. But the true strength of the Clemson team was its defense. The Tigers had three All Americans including safety Terry Kinard, linebacker Jeff Davis and defensive end Jeff Bryant. All three went on to solid pro careers. But the most famous member of the Clemson defense was a large freshman defensive tackle named William Perry. Perry would later gain fame for his nickname "The Refrigerator" and became a football folk hero with the Chicago Bears as a lovable overweight defensive lineman who sometimes scored touchdowns while lining up at fullback . After finishing the regular season with a perfect 11-0 record, Clemson was invited to the Orange Bowl to play Big 8 champion Nebraska. The Huskers were also an interesting story in 1981. Nebraska had rebounded from an 0-2 start and turned its season around behind the play of sophomore quarterback Turner Gill and a great duo of tailbacks Roger Craig and Mike Rozier. But late in the season, Gill suffered a broken leg and was unable to play in the Orange Bowl. He was replaced by Mark Mauer who was the team's starting quarterback in the beginning of the season. Despite Clemson's perfect record, there were still some doubts about coach Danny Ford's team. The ACC was considered more of a basketball conference and some questioned if the Tigers had played a tough enough schedule. But on January 1, 1982 in the Orange Bowl, those doubts were completely erased. Thousands of orange-clad Clemson fans made the trip from South Carolina to Miami for the game. 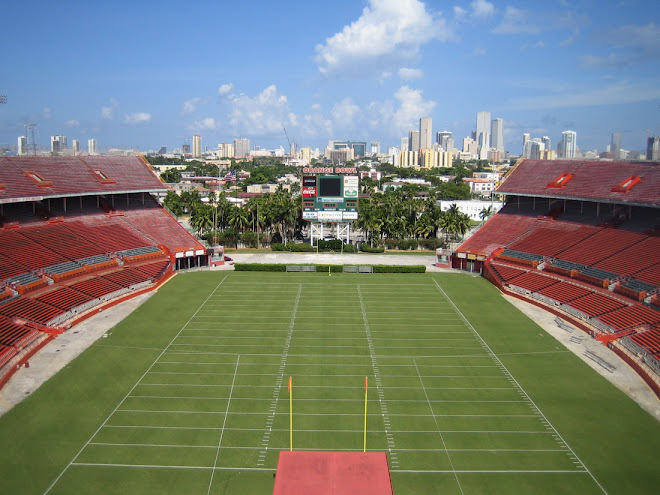 They were joined in the Orange Bowl stadium by an equally fanatical group of Nebraska backers. 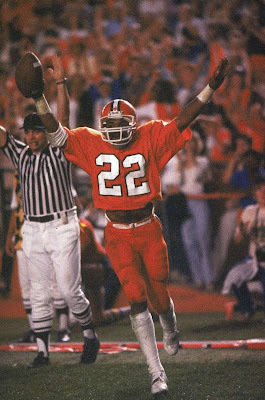 To mark its first trip to the Orange Bowl in over 30 years, Clemson wore all orange uniforms for the first time. The Tigers took a quick 3-0 lead in the first quarter behind a Donald Igwebuike 41-yard field goal. But Nebraska came back with some trickery when I-back Mike Rozier threw a 25-yard option pass to Anthony Steels for a touchdown to take the lead 7-3. Leading 13-7 in the third quarter, Clemson took control for good when Homer Jordan threw a 13-yard touchdown pass to Perry Tuttle, giving the Tigers a commanding 19-7 lead. Clemson held on to win 22-15 bringing home the school's first and only national championship. At 34-years-old, Danny Ford became the youngest coach to lead his team to a national title. But following the 1981 season, Clemson was penalized by the NCAA for recruiting violations and were placed on probation. Ford would coach eight more seasons at Clemson with solid success. But Clemson has yet contend for another national championship since. The 1981 Clemson Tigers were only the third team in Orange Bowl history to win the national championship with a perfect record. The Tigers may have not been the best team to play in the New Year's Orange Bowl game, but they certainly were the most unexpected champion.